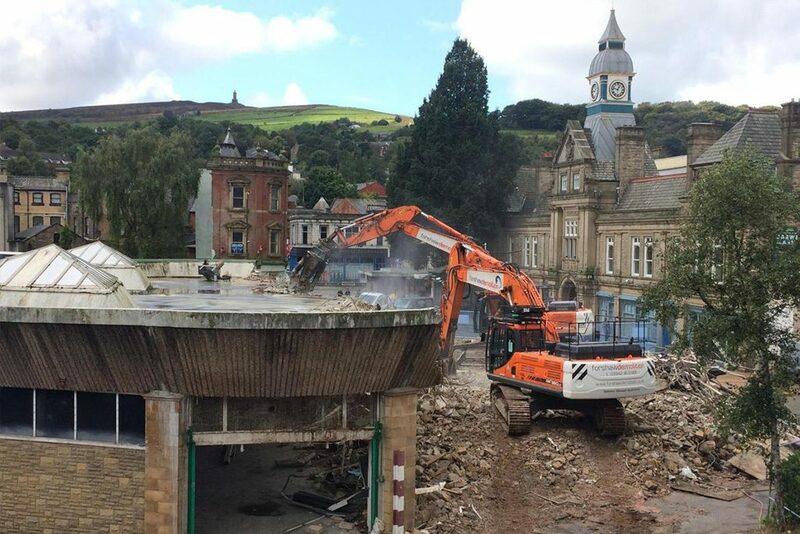 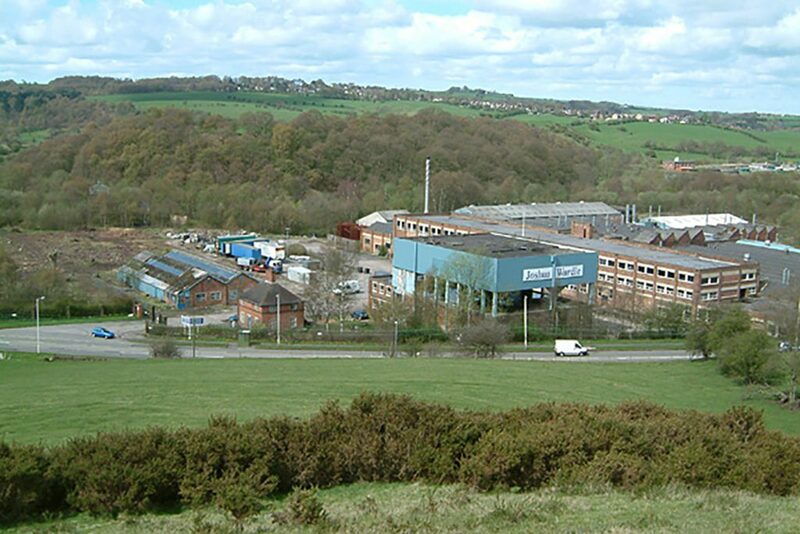 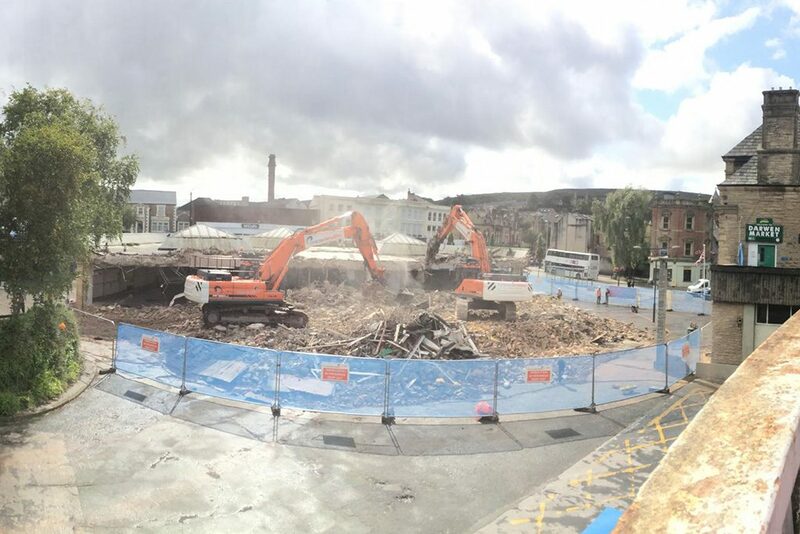 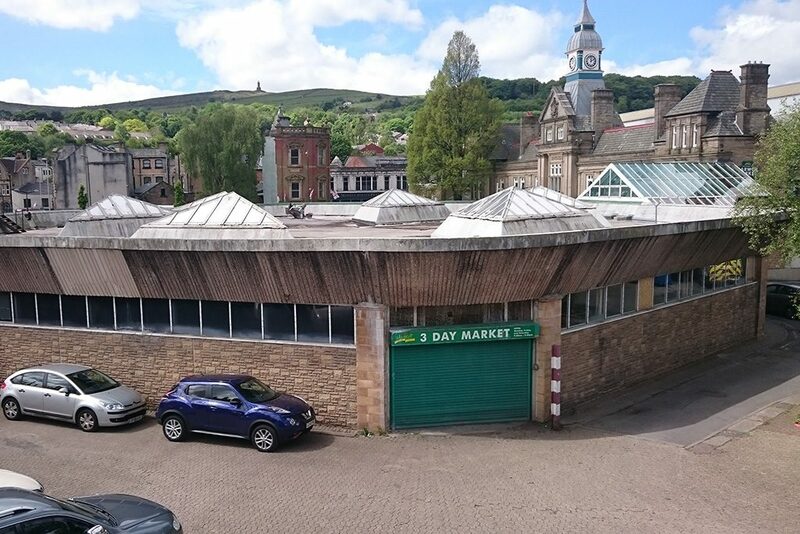 Scope: The soft-strip, asbestos removal and mechanical demolition of the former Darwen Market. 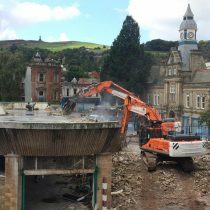 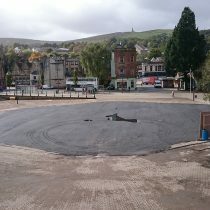 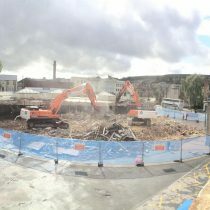 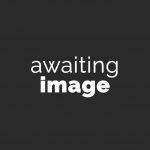 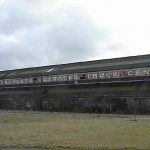 The soft-strip, asbestos removal and mechanical demolition of Darwen Market, with remediation upon completion. 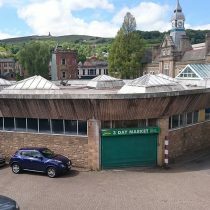 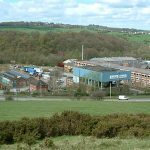 The site was located in the centre of Darwen with busy streets and pedestrian areas to all sides. 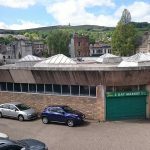 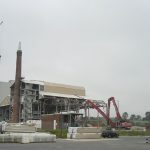 The site was segregated from the adjacent public thoroughfares and the building initially soft-stripped with all materials separated for further reuse or recycling. 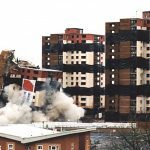 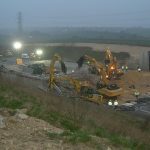 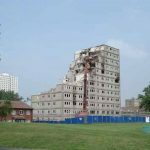 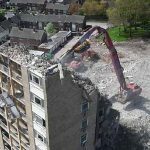 Demolition excavators fitted with 360o rotating attachments were then used to demolish the building mechanically, with all demolition arisings loaded in to waiting wagons for removal from site. 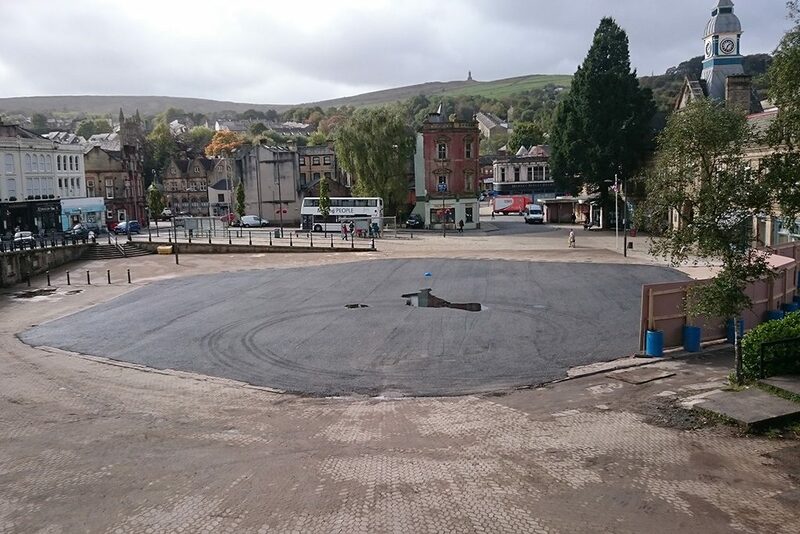 Upon completion, the footprint of the building was levelled and a layer of tarmac put down as a finish. 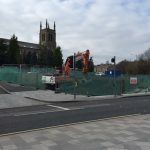 Bollards and benches were installed at specified positions around the boundary of the site and a wooden hoarding was erected around a further section of the site.